For business systems, failure just isn't an option - so when you have mission-critical applications you need storage solutions that meet your needs. 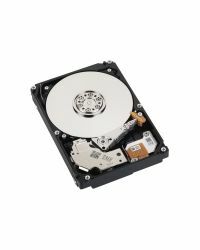 Toshiba's Enterprise Performance Hard Drive - AL Series delivers high storage densities with rapid data transfer speed, backed up by a 5-year warranty. You can trust the AL Series to deliver day in and day out, 24/7, even in the most demanding high-performance server and storage systems. Especially when traffic is high, the hard drives have the speed needed to perform simultaneous transactions smoothly and efficiently. Additionally, proprietary technologies like the Toshiba Persistent Write Cache Technology and crypto options provide the assurance that your data will stay in safe hands.